Take a dip in the deep silent water of the sea and explore the hidden treasure the deep water has in store to offer you. 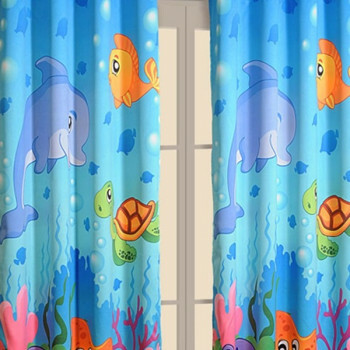 Adorn these adorable kids’ curtains on your Childs windows and doors and watch him get fascinated by the unique life forms existent at the bottom of the sea bed. Escape to the wild and set out on a safari in the dense forest and spot all the animals majestically lazing around in their natural habitat. Let your child develop a fascination towards animals as he get engrossed in the magnificent aura of these animals. 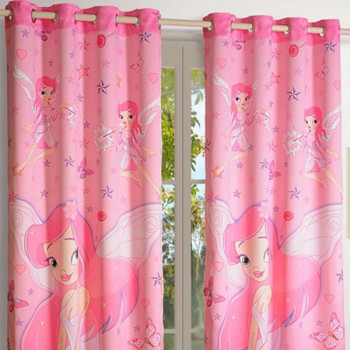 Make your kids happy by transform their rooms to a fairyland. 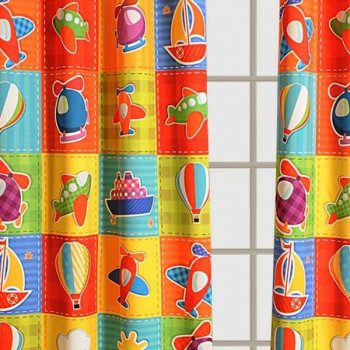 Give their rooms a makeover with colorful and attractive curtains and excite their lives. 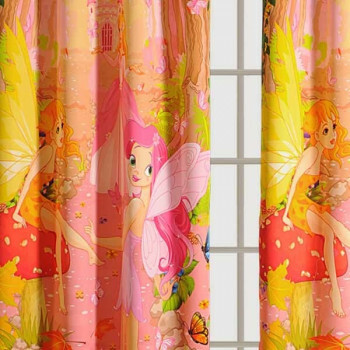 Your kids will definitely feel like entering a wonderland from their dreams when they are surrounded by these amazing curtains. 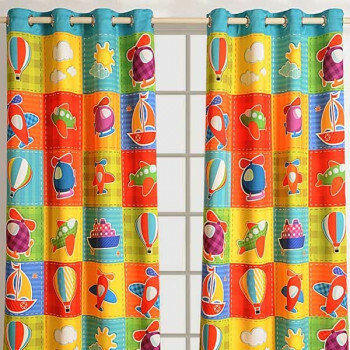 Bring some excitement in the lives of your kids with the help of these wonderful curtains. 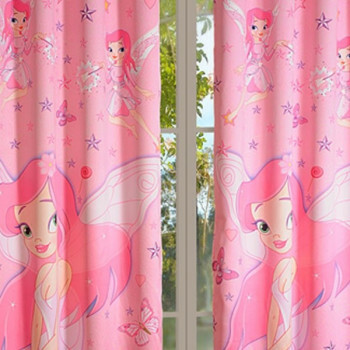 Let your child feel the power of pink as you give her the chance to meet the princess of her fantasy. 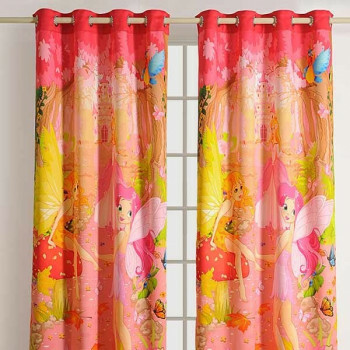 The pink color of these curtains is bright and beautiful which brings peace and calmness to your home and your child. 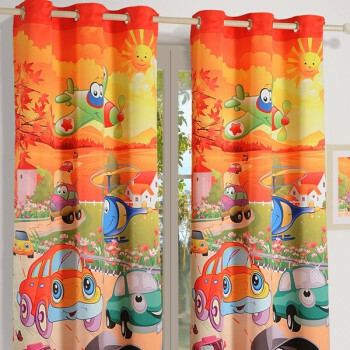 Let your child feel the adrenaline rush as he experience the high fueled car race in full rage printed on his curtains. 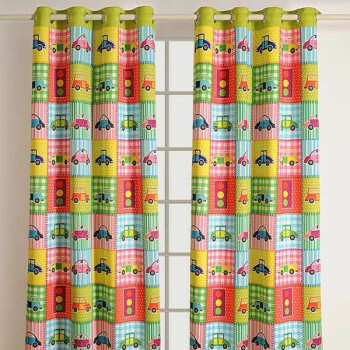 As soon as these curtains are draw, let your tiny tot feel the excitement of being the midst of an epic car rally, with roaring engines speeding up fast to win the race. 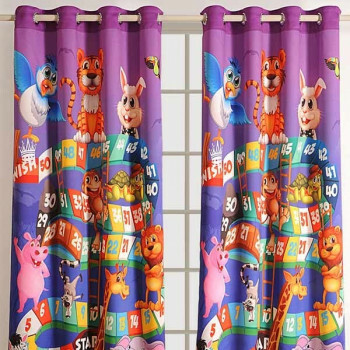 Let your child get overwhelmed with joy as he enters his room and gets engrossed in the playful colors and prints of the kids curtains. 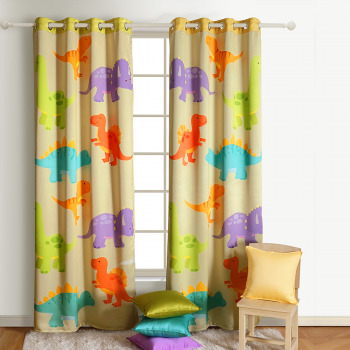 Give a touch of edginess to your kid’s room with these amazing digitally printed kids’ curtains. 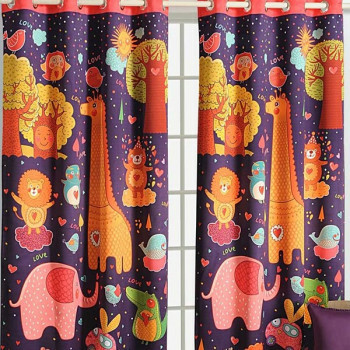 You can match these curtains with your bed sheets and cushion to give your little one an environment of wonder and magic. 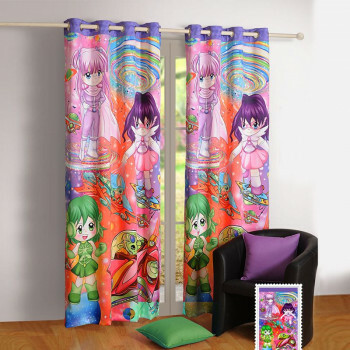 Buy curtains online through our online portal Swayamindia.com and let your child own a sense of pride having his favorite cartoon character in his room. 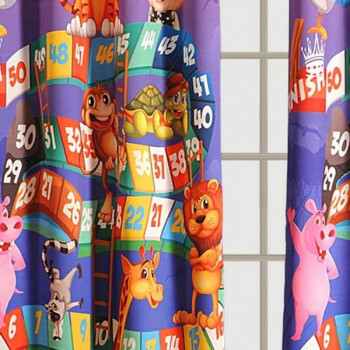 These kids curtains are pre tested for color bleeding. It has high thread count. We provide secured gateways for safe online transaction. 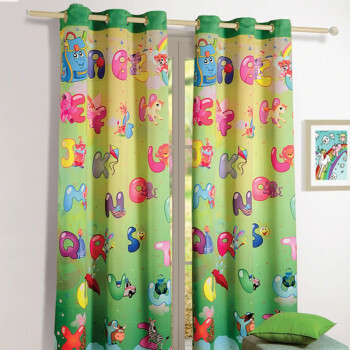 These curtains are made of premium pure cotton which makes them fade resistant even on several washes. The maintenance is quite easy as it needs a simple machine wash. 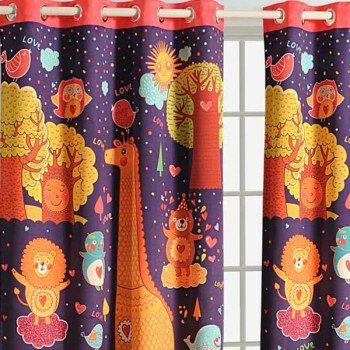 There is no risk of shrinkage on drying. They come with eyelets which makes it easier for you to install and care. 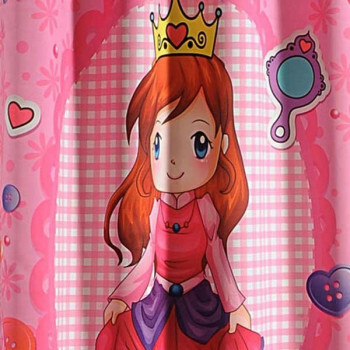 Buy kids curtain online through our online portal Swayamindia.com and let your child witness the amazing blend of colors and digital prints. 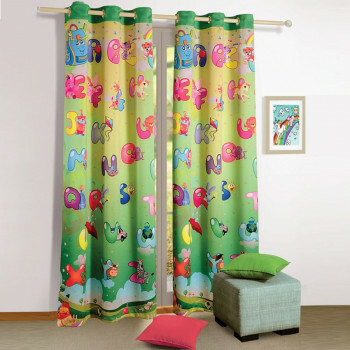 The Swayam curtains are digitally printed with cartoon characters to indulge your child and grab his attention. 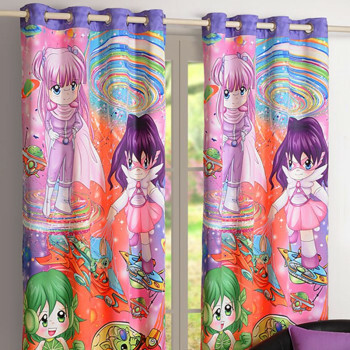 These curtains are wrinkle free which makes them a treasured possession. 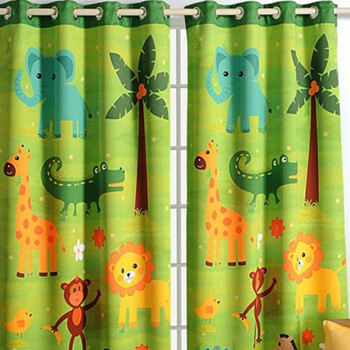 They have an extra 6” width as compared to the curtains available in market to suit your window and door setting. We have a 100% buy back policy which is however not valid on products which are customized. 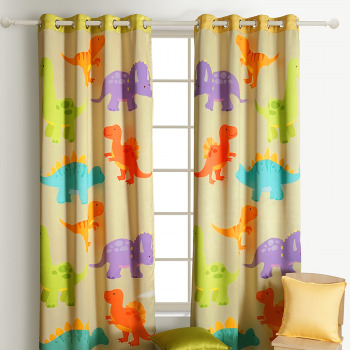 You can slide the curtains to one end and neatly tie them up with matching loop tie ups to add an aesthetic appeal to it. We provide facilities like free shipping on purchase of Rs 500/ or above anywhere in India. 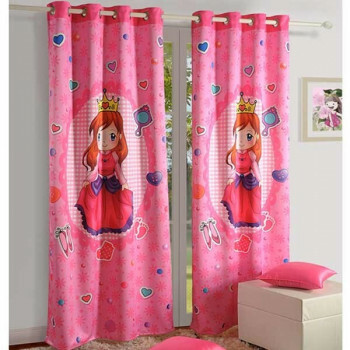 Buy curtains online from our website and make payments either online or cash on delivery. 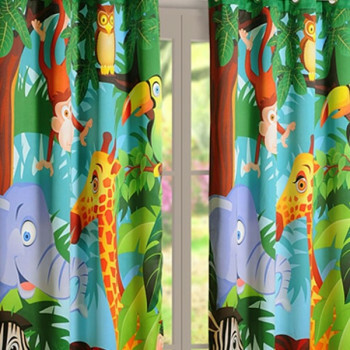 The kid’s curtains come in adjustable lengths to suit the varied sizes of your windows and doors. 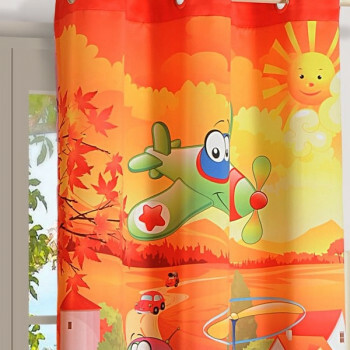 Let your child’s room radiate with these amazing bright colors and prints and brings a smile on his face every time he gets a glimpse of his favorite cartoon character. 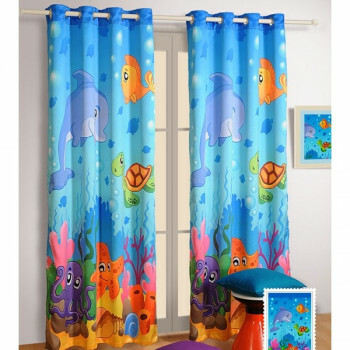 Moreover, these kids’ curtains make sure that your child has an undisturbed sleep as it is incorporated with features of blackout curtains. 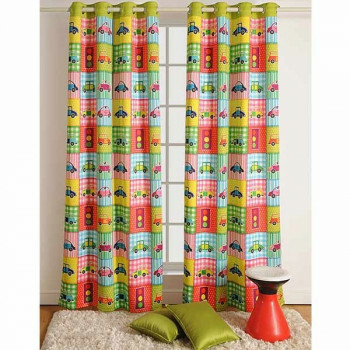 Therefore these curtains block sunlight and provide insulation to prevent noise for entering. 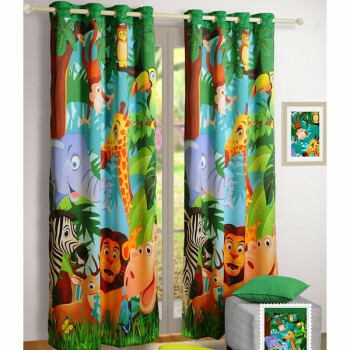 Buy kids curtain online through our portal at a nominal price and expand your home décor with these kids curtain.